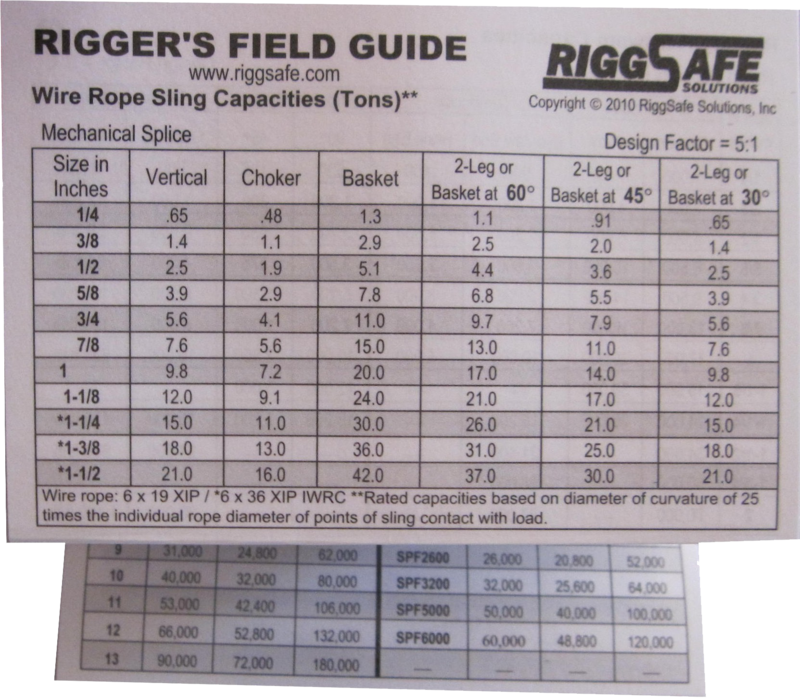 The Rigger’s Field Guide (RFG) – RiggSafe Solutions, Inc. 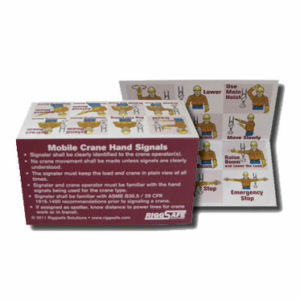 The Rigger’s Field Guide (RFG) is a laminated 4”x 13.75” 10 panel field reference with useful information easily accessible on the job. The panels consist of wire rope, alloy chain, synthetic web, polyester and high performance roundsling capacities on one side. The other side consists of rigging hardware ratings, sling tension and weight distribution calculations, pulling and coefficient of friction calculations, load weights, and weight calculation methods as well as D/d ratio and Load Angle Multiplier information. The RFG folds into a 2 ¾” x 4” size which fits into a front pocket or a wallet. 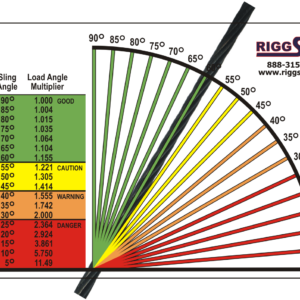 © 2018 RiggSafe Solutions, Inc.. All Rights Reserved.